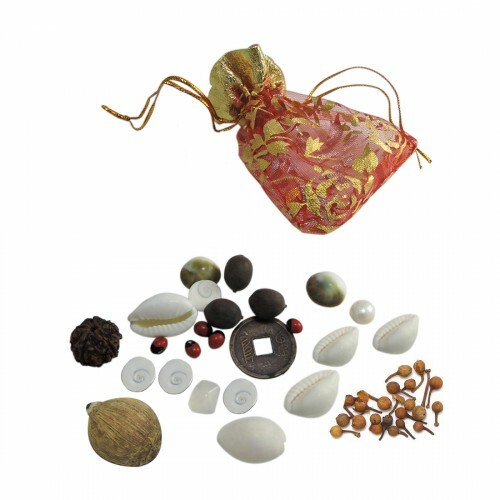 This kit includes Dhanakarshak Samagri small pots as follows: - Laghu Nariyal (tarot small coconut)1, Laxmi Cowrie 5, Lal Gunja seeds 5, Rudraksha 1, Lotus Seeds 3, White Moti 1, Gomati Chakra 5 sea shells, Wealth Coin. 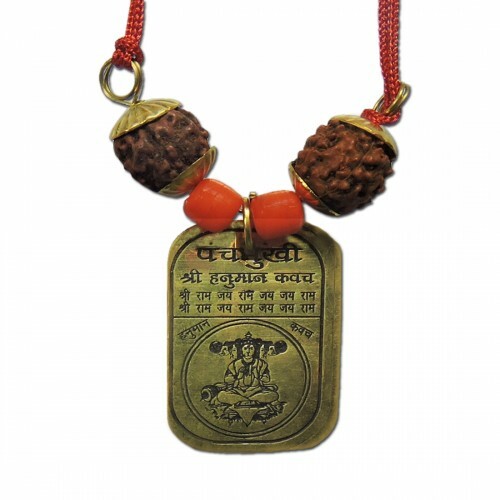 This potli samagri is already ..
Ratnatraya Panchmukhi Hanuman Yantra Kawach locket is made from a flawless metal plate and rudraksha beads onside. The spiritual sacred motifs are designed on this yantra with scriptural disciplines. This Kawach is believed to gives protection agains..
Ratnatraya Panchmukhi Hanuman Yantra sticker. 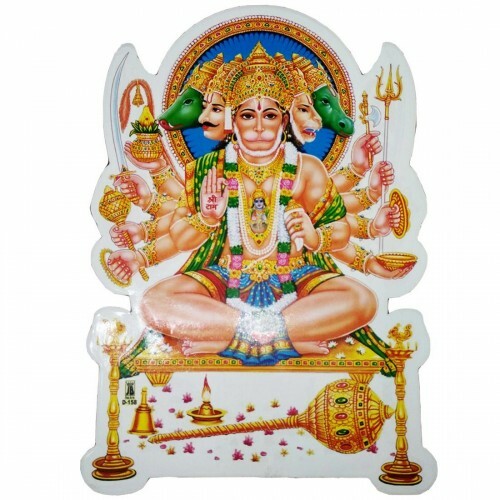 Shri Panchmukhi Hanuman Yantra is believed to brings blessings with courage, power, and success to its worshipper. It forms a layer of spiritual protection and slows down the effect of Vastu Dosha. This s.. 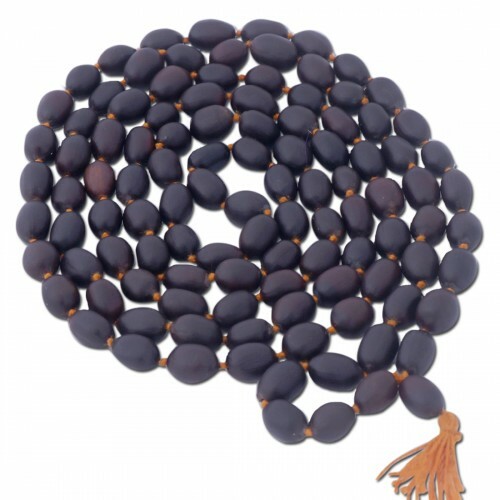 This Kamalgatta Garland is made from '108' lotus seeds. As per Hinduism, Lotus is a symbol of spiritual growth which grows in mud water and has ability to beat the obstacles and create new path of awareness. It is a symbol of Goddess Laxmi. This Kama..